English actress Lavinia Fenton was beautiful, lively, and vivacious. But life hasn’t always been kind to her. Born in Charing Cross, probably the daughter of a sailor her mother had a brief fling with, Lavinia had to work from an early age. She was a waitress and a barmaid, but then, still a child, turned to prostitution to supplement her meagre earnings. In March 1726, the young teenager took up acting. 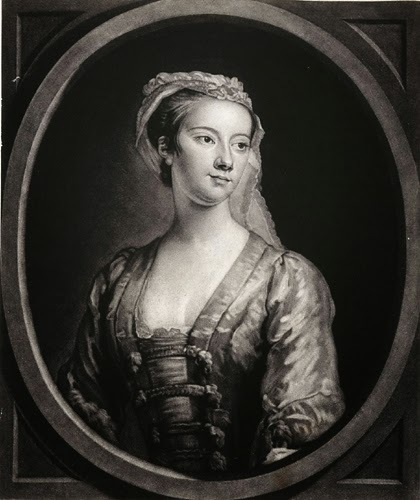 Her first appearance on the stage was as Monimia in Thomas Otway’s The Orphan: or The Unhappy Marriage, at the Haymarket Theatre. She then joined the company of players at the theatre in Lincoln’s Inn Fields, where her talent and beauty made her a hit with the audience. But it was her performance as Polly Peachum in The Beggar’s Opera that made her famous. 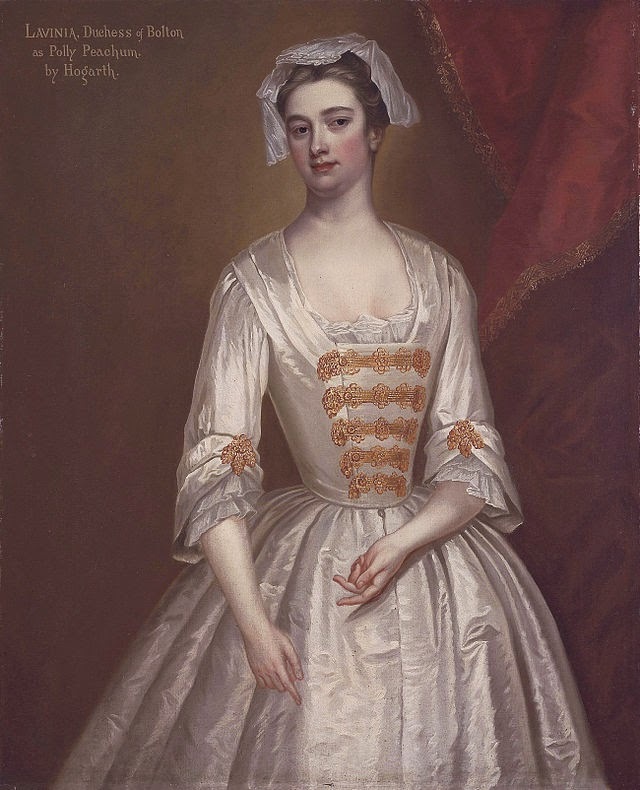 Hogarth painted her in her role as Polly, and people started identifying the actress with her character both on and off the stage. Books and verses about her were published, and her pictures sought after. Lavinia’s salary now doubled too and she was very much in demand. She went on to star in John Vanbrugh’s adaptation of The Pilgrim, several comedies, and then in numerous repetitions of the Beggar’s Opera. In the meantime, Lavinia had started an affair with Charles, Duke of Bolton. Twenty-three years older than Lavinia, he was trapped in a loveless marriage. But neither he nor Lavinia saw that as an obstacle to their union. Lavinia would give Charles three sons, all the while keeping appearing on the stage. She wasn’t about to give up her job to be just a kept mistress! When in 1751, Charles’ wife died, the couple finally married. Nine years later, Lavinia died at Westcombe House in Greenwich.